from their 57th annual Tour of Homes and Gardens and the sale of the Christ Church Cookbook. Community outreach contributions have been granted to 32 different organizations as listed below. 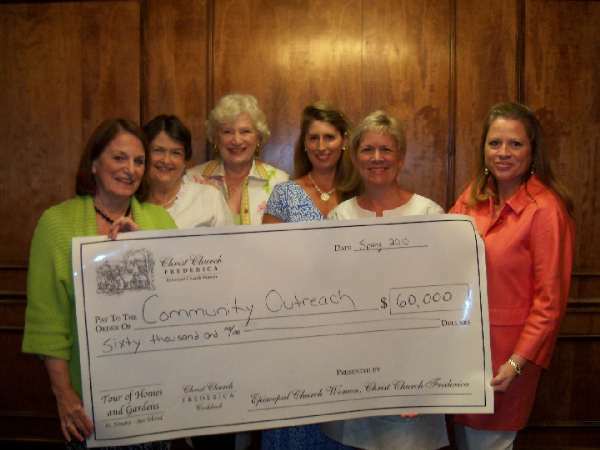 Our Journey, Inc. recently received a generous grant from the Episcopal Church Women of Christ Church Frederica. The grant is being used to train women in the village of Swayimane in South Africa to give effective home base health care. 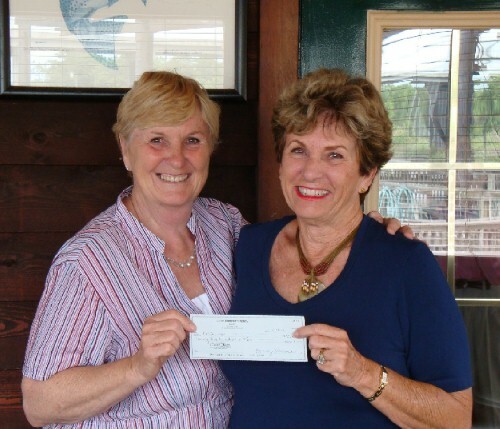 Seen presenting the grant to Maureen Ahern, Founder/Director of Our Journey, Inc. is Barbara Bruce of the Episcopal Church Women of Christ Church Frederica.